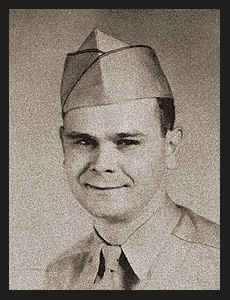 T/3 James W. Richardson, son of Mrs. Pearl Richardson, graduated from Frederick High School; husband of the former Rena Mae Harris. Entered the Army in Dec, 1942, trained in Ft. Lewis, Wash.; served in Canada, France, Belgium, Luxembourg, Germany; was discharged in Nov., 1945. Awarded EAME Ribbon with two Battle Stars, Am. Theatre Ribbon, Good Conduct Medal, Victory Ribbon.